Oksana 2018-01-24 Country, Education, Events, Finances, Startups, Technologies. Within January 22 – 26 the whole world is focused on the World Economic Forum. This year Ukraine is representing its potential to the world in different business areas as well as dwells on the issue of women rights and equality. For the first time in its history, Ukraine has expanded its presence at the World Economic Forum in Davos and will be represented by the largest Ukrainian IT companies-members of the national Association "IT Ukraine" - Eleks, EPAM, Innovecs, Intellias, N-iX, PwC, SoftServe, Ciklum. Within four days, numerous discussions will take place in various formats where Ukraine can offer international partners high-quality IT services and cooperation. Ukraine House, designed in a modern style and located in the very heart of Davos, demonstrates Ukraine's rich culture and national identity, and at the same time represents the IT sector of the Ukrainian economy that embodies the emergence of a new, creative and innovative generation of business leaders as well as new opportunities provided by our country. Within Forum, Ukraine House will held a number of meetings and panel discussions. Representatives of the Ukrainian businesses present their cases to the leading international businessmen and experts in such segments as Digital Transformation, Agritech, Artificial Intelligence, Data Science, Blockchain and other topical areas. According to the Executive Director of the Association “IT Ukraine”, Oleksandr Kubrakov, Ukraine House in Davos is a great opportunity to demonstrate Ukraine's potential in the field of cutting-edge technology and creative industries to international business and political elite. We set ourselves the goal to make a qualitative contribution to shaping the image of Ukraine as a powerful technological center and a reliable business partner. 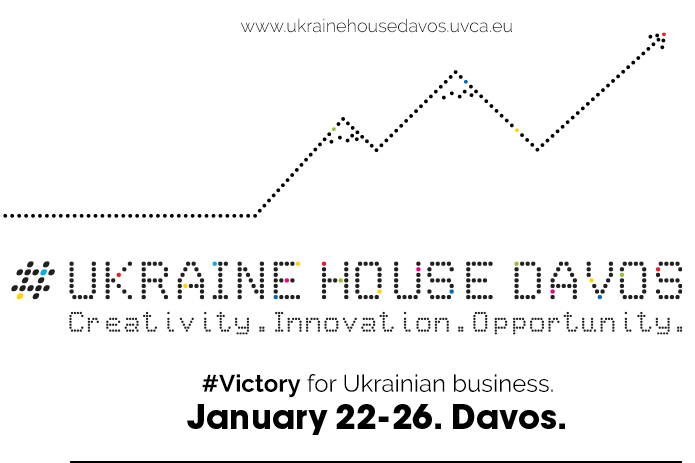 Ukraine House in Davos is a multi-format venue organized by the Ukrainian Venture Capital and Private Equity Association (UVCA) in partnership with the Western NIS Enterprise Fund (WNISEF) and Victor Pinchuk Foundation. Ukraine House will be open in Davos, Switzerland, within January 22-26, 2018, under the title "Ukraine: Creativity, Innovation, Opportunities."